Read our how to buy gold jewelery tips below and you will soon be buying gold jewelery like a seasoned professional. 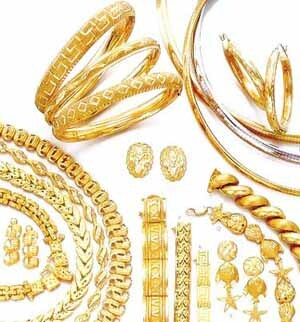 Buying gold for the first time can be a daunting task as many pieces of gold jewellery look alike at first glance. When examined carefully, however, it often becomes clear where the difference lies, both in quality and in cost. Weight is one factor that goes into determining the value of a piece of jewelry. Gold is usually sold by weight, in grams or pennyweights. There are 20 pennyweights to one ounce; if you multiply grams by 0.643, you will have the number of pennyweights. When buying gold, factored into the price per gram is the cost of gold plus the cost of labor and workmanship. Design and Construction are important aspects not only because of the piece's finished look but also because specific details in the overall design and construction affect comfort, wearability, and ease in putting the piece on or taking it off. Good design requires excellent designers as well as extra care and attention to small mechanical details adding to the cost of the jewelry. Is the construction simple or complex? Did it require special skill, talent or equipment? Production affect price significantly. The type of construction needed to create a particular design may require that it be made entirely or in part by hand or machine. Some designs may be produced either way but those done by hand will have a different look, feel, and cost. Finish is where we need to take into account the care and labor costs associated with the actual finishing of the piece. Examples include special skills or techniques required to put on the final touches that make the piece distinctive, such as engraving, milgraining, hammering or granulation. Another example is to note if the piece has been carefully polished to remove scratches and there are no rough edges that might catch or snag on fabric. Each step in the process adds dramatically to the cost. Return to Crystal Jewellery . Return to All About Jewelry From How To Buy Gold Jewellery Guide. Some very interesting facts about gold. What is gold carat and what it means.